In my opinion GGG is one of the best middleweight boxers since the Marvin Hagler days. His pedigree is second to none – top amateur, with multiple amateur championship titles won. With over 375 fights spanning his amateur and professional career, he’s never been knocked over or knocked out! As a pro he remains undefeated and to me he looks like he still hasn’t got out of second gear. His fighting style reminds me of the great Julio César Chávez González, also known as Julio César Chávez Sr. An amazing Mexican former professional boxer who competed from 1980 to 2005. The way I see him winning!! GGG is known for starting off slow and methodically, cutting the ring off and getting in close to deliver devastating body shots and hooks. Personally I can’t see Brook keeping him away. I just don’t think Brook has got the power to hurt GGG, he might have a bit of success with counters, but I’m afraid they’ll only be one winner here. My prediction is stoppage for GGG before round 7. I think Brook’s team should tell him to treat this like a 5 round fight and go for it from the off. Brook needs to go all out and try to unsettle GGG and catch him with shots as he comes in. I believe this is Brook’s best chance of winning, but I still can’t see Brook actually hurting GGG. 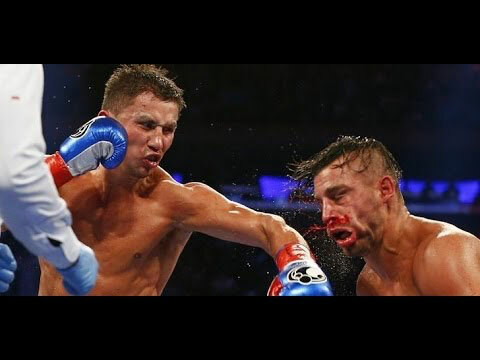 So the only win for Brook in my opinion would be if GGG sustains a cut eye. I really can’t see it going to points as Brook will slow from round 6 or 7. Carrying that extra poundage will be incredibly hard for him. Fair play to Brook for taking the fight though, plus he is getting really well paid so good on him. Don’t get me wrong Brook is an excellent fighter, but Welterweight is where he fights best because of his size/frame. He might come in weighing the same or even heavier than GGG on the night, but I always keep in mind the age old saying “a good naturally big man will always beat an equally good naturally small man”.